It is always pleasant to attend a beer festival in Barcelona, ​​especially if you can relax since you are not the organiser. 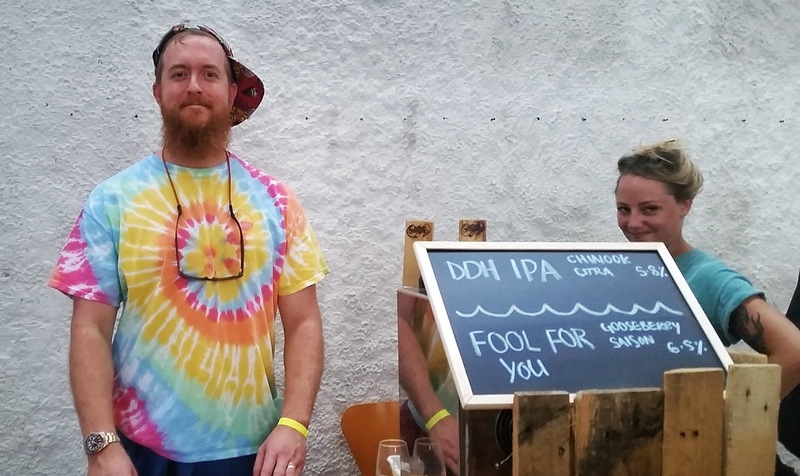 After a long period of promotion, this past weekend came the Mash Craft Beer Festival, an event with a remarkably different format from those that until now we have seen here. Its peculiarity: to be organised by four distinct brewers, two locals -Edge Brewing and Garage- and two from abroad -Brewski and What's Brewing-; the installation was the organisers' responsibility, limiting the offer to two taps for each participating brewery; and, very relevant, it was the first fair -not festival- * to have a greater percentage of international companies. "We must be grateful to the organisation for being able to attract so much beer talent to our city"
In this sense, Mash brings to mind international events such as Borefts Bier Festival or Copenhagen Beer Celebration: a smaller format, but with capacity and potential to grow, while focused on the day-to-day consumer of craft beer. 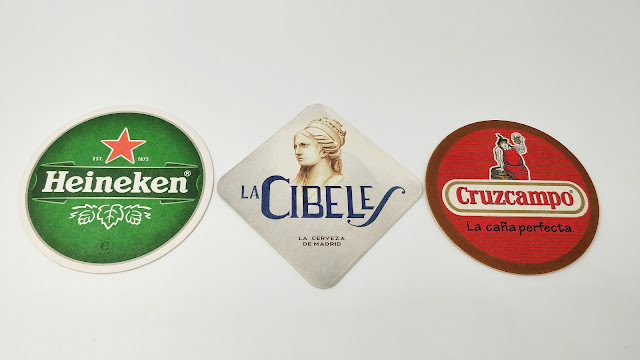 Undoubtedly, this year's plan was hugely appealing for the beer lover, with a list of 42 breweries -79% international- that had many of the big names of the European brewing scene, and some American breweries to complement. Preparing my attendance for Saturday, I realised that I had little information about the event. Without a website, the tickets portal and social networks became the reference, although the lack of some relevant data meant that attendance became an act of faith with the organisers, of beer militancy or out of enthusiasm for the big names. In my case, it was basically the first reason, with hints of the second. I did not receive a paper guide either, when I entered the venue, something I really hoped for. But as most of the attendees were already buggy about attending beer festivals, we were quickly operational. 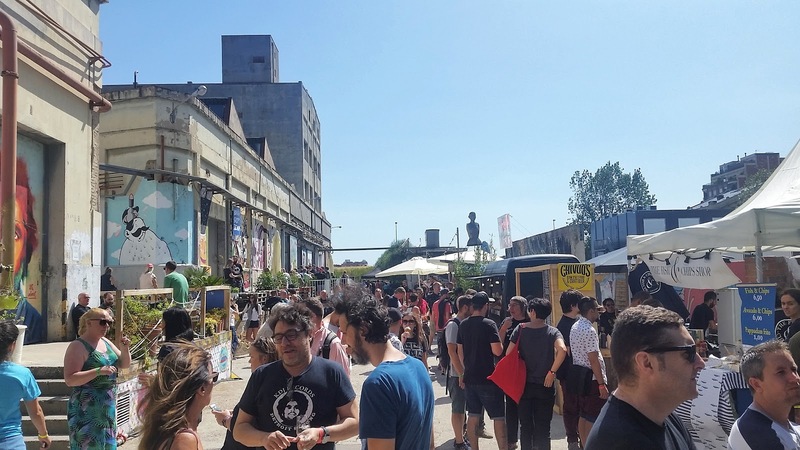 With a different offering on Saturday and Sunday, and an entrance fee of 12€ per day -22€ two days- the stands offered two simultaneous beers from Lindr dispensers, the vast majority of which at a price of two token -1 token = 1 euro-. Some aged beers were more expensive, at the price of three tokens. The amount of beer, however, was variable depending on each stand: some filled the glass up to the top -about 15 cl-, while others up to the line that supposedly marked 10 cl. As for the location, it was outstanding. Located in the neighbourhood of La Sagrera, Nau Bostik is a set of old industrial buildings that are home to a space dedicated to cultural creation and dissemination. It became, without a doubt, the ideal venue for Mash, giving continuity to the attractive aesthetic line of its marketing. 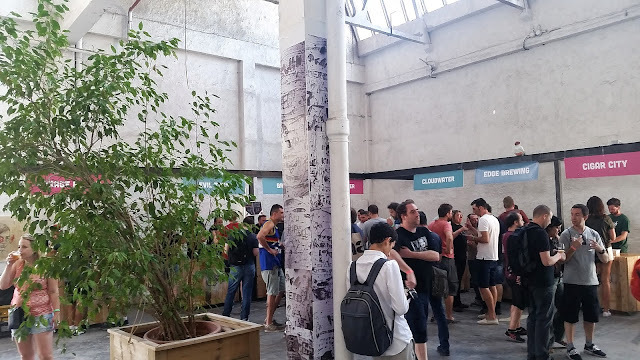 Without crowds or lack of space to move comfortably, the public was well distributed thanks to the three different rooms that gave good shelter from the heat outside, as well as good atmosphere thanks to the music played by different DJs. 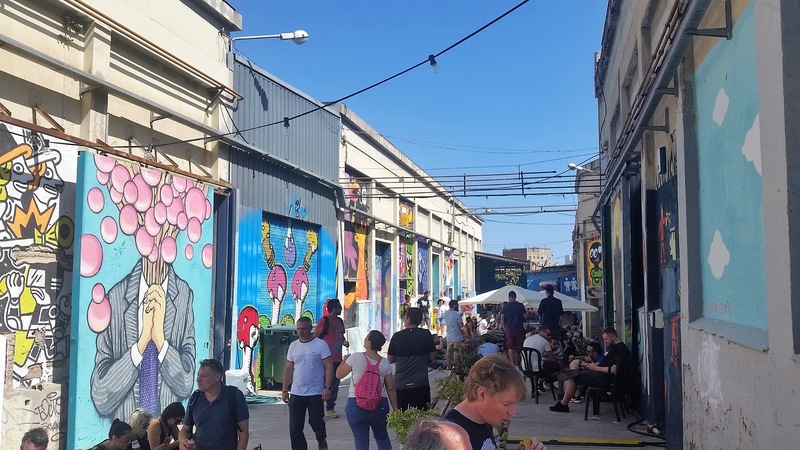 As a complement, there was a nice outdoor space, with some seating to relax and a variety of food trucks that complemented a remarkable beer offer with quality food. Also, note that BierCab had moved its store to the festival so that no one went back home empty-handed. The formula turned out to be successful, and at least on Saturday from the very beginning the celebration was well animated, with an audience that mixed local enthusiasts -usual suspects- with a some foreigners. In my case, it was a wonderful occasion, as usual, to meet with colleagues from everywhere, as well as to meet some new people. They all emphasised the quality of the beers on offer, incessantly exchange glasses to try yet another different beer that there seemed to be even better than the previous one. It's a hard life. After sampling lots of beers, focusing mainly on foreign product, I would personally highlight four that called my attention in particular: Sicker Than Your Average, a surprising and deliciously crisp sour ale with prunes, by J. Wakefield Brewing, a new personal revelation to me; DDH IPA Chinook Citra by Cloudwater, perfectly opaque, as fresh as sticking your head into a freshly opened pellet sack; Babushka Maria Ay Caramba by Sahtipaja, an Imperial Stout with vanilla and habanero peppers, very delicate yet powerful, smooth and flawless; and Odravein Bourbon BA by the Estonians of Põhjala, with a dangerously hard-to-notice 16% ABV in a perfectly balanced and appetising beer. Is there room for improvement? If we go into detail, it is clear that we could find things that could have been better, as in every event; plus this was a first edition. The important thing, in my opinion, is that the festival worked: you just need to go through the social networks to see that the people who went there came out very satisfied with the it. First of all, in my opinion, we have to be happy and grateful to the organisation for attracting so much talent to our city, Barcelona, something that I think sometimes we take too much for granted. 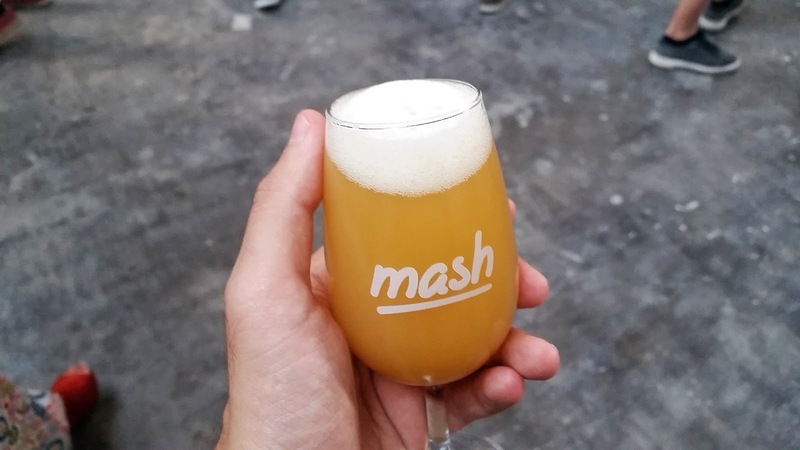 Thus, Mash delivered what it promised, a magnificent opportunity for the consumer to taste and enjoy top-notch beers, and for brewers to share among them to continue weaving a strong and solid community. And, in this way, to grow together. Find more pictures in the Facebook album: Mash Craft Beer Festival. * Remember that we locally make a distinction between a beer fair -in which the brewers themselves sell their product-, and beer festival -in which the beer is served by the staff of the event-. Transparency disclaimer: the organisation gave me a two-day pass, plus the official glass and two tokens, in exchange for my posting before, during and after Mash.